Voice search is transforming the world, and the future of local search now lies in voice. Google has predicted that by 2020, around 50% of search queries will be voice searches. With a great low rating of 4.9% word error rate, Google’s speech recognition technology continues to develop, optimize and perfect voice search experiences. Today, 20 percent of search queries on Google and Android devices are voice searches. 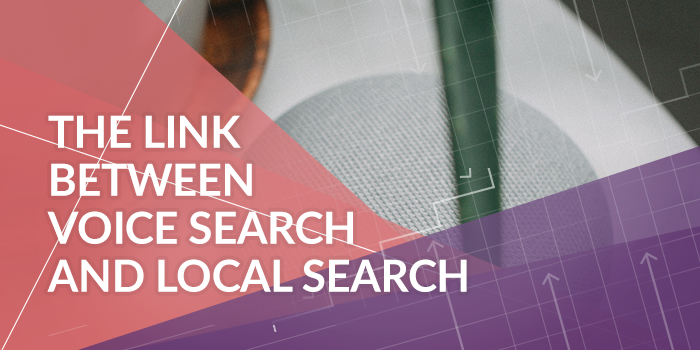 Now is the time to optimize local search leveraging voice search strategies. Most voice searches are location specific and mobile voice-related searches are 3X more likely to be local-based than text. Users often opt for voice search when looking for a product, shop or service near them and 50% of local mobile searches by a consumers leads to a store visit in a day. Voice search brings with it the convenience and speed one cannot get from text searches. Text searchers are usually in the research phase in their purchasing process, whilst voice searchers are usually on the go, ready to purchase and looking to satisfy an immediate local need. While text-based search depends on keyword phrases, voice search is more conversational in nature. 70% of searches via Google Assistant are conversational queries using the natural language. Voice queries are more likely to be informational questions with longer sentences and more wordy phrases. Queries often include words like "who," "what," "where," "when," and "why." Voice search is not only direct but often informal. Text searches leverage on keywords and short phrases, e.g. “Meticulosity opening times,” while voice searches tend to be more structured using full, grammatically correct sentences, e.g. “what time does Meticulosity open on Monday?”. Voice search queries are weakening the impact of short-tail keywords. Voice search queries are characterized by longer and complex requests, these long-tail search terms average 6 to 7 words per query. On the contrary text-based searches focus more on targeting specific keywords and averages 1 to 3 terms per search. As voice search continues to gain momentum, it ultimately means that the power of visual mediums, like websites and search engine entries, will decline. Research has revealed that about 30% of all searches will be done without a screen by 2020. As voice search continues to advance, context and intent will play an integral part in selecting search results to be presented after voice search. Focus will be more on understanding user intent, than mere identification of used keywords. RankBrain now seeks to understand the connection between a series of linked questions, might access the searchers’ email and calendar, and could also factor in the user’s past searches for more relevant and direct answers. The majority of voice queries are rooted in personal assistance, making calls and asking for directions. Voice search allows users to ask direct questions in anticipation of more direct, immediate and relevant answers. Voice search is strongly becoming a mobile-driven phenomenon. More than half (53%) of those that using voice search using it when driving, and another 21% used it when doing another activity. Voice search will effectively increase mobile phone searches. There is a discrepancy between what people write to the way they speak. Natural speech pattern contains more context about one’s question in comparison to text based. It is important to distinguish natural speech patterns and master the difference between text-based search language and voice-based search language. Fine-tune keywords based on the degree of intent behind every search. Keywords still remain relevant, because Google provides most of its voice answers from the featured snippet (i.e., answer box) at the top of search results. Unleash the power of an FAQ page, if you haven’t done so already. Single out the most relevant questions likely to be asked by your customers and create natural-sounding content answering those questions. Prioritize answering questions like ‘why’, ‘who’, ‘what’ and ‘how’ and directly respond to them not only on your FAQs page but in your blog posts, social media posts and website copy. If you are not sure which questions consumers, ask about your business answerthepublic.com is a good place to start. Research and incorporate long-tail keywords to improve the chances of your content ranking high in voice search engine result pages. Voice search queries are longer than normal text queries and impersonate how real people converse. Make sure your longtail keywords include natural-sounding phrases people use to describe the neighborhood in and around your targeted location. Adopt responsive design for your site and ensure that it responds to devices of all sizes. Use Google’s Mobile-Friendly Test Tool to test your site’s mobile compatibility. 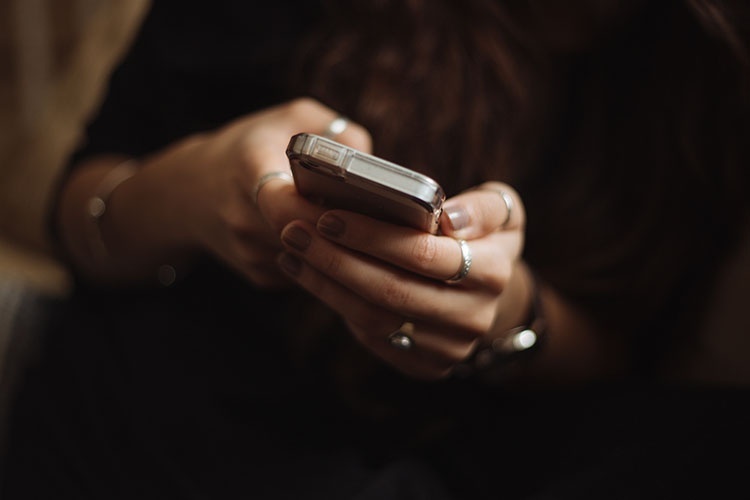 Page speed is especially important for mobile and Google recommends that a site loads and becomes usable within five seconds on mid-range mobile devices with 3G connections and within three seconds on 4G connections. 40 percent of mobile online shoppers will wait only three seconds before abandoning a site. Ensure that your name, address, and phone number (NAP) data is consistent and accurate on your Google My Business listing. Upload high resolution photos and have a healthy number of positive reviews. Structured data or Schema markup, can give you an edge over your competitors. Leverage Schema markup to clearly identify your important local business information to Google. Local business markup includes identifying your business name, contact information, address, etc. so Google clearly knows what information to include for these searches. This, along with a well optimized Google My Business listing, will be the key to help you rank well for “near me” and “open now” searches. Most of the work you do to optimized and edit your site is done on a desktop or laptop. Make sure you get out your mobile or home voice assistant and do some voice searches for your brand or business to ensure you’re being represented on search the way you want to. If you’re stuck or have a specific voice optimization question, contact us! We do this every day and are here to help. Erica has more than 5 years experience in marketing and communications. She is an Associate of the Chartered Institute of Marketing (UK) and she is Google Analytics and HubSpot certified.